The Biotechnology or Biotech sector had a tumultuous 2015, with contrasting first-and-second halves of the year. The sector as represented by IBB, an ETF which tracks the Nasdaq Biotech Index (NBI), rose 32% by July 2015 and then suffered one of the deepest sector declines, which culminated in a bottom in February 2016 after a decline of 38% from the peak. Since February 2016, the Biotech sector has lagged the broader advance in the market and continues to be down 17% as of May 31, 2016. But things are now changing, and the monthly performance has been consistently improving. Last month we had drawn attention to some transient sector-specific and general market factors in our commentary here and our blog postings. While the political issue of rising health care costs and aggressive pricing practices will remain prominent throughout the year, as Presidential candidates posture and Congress conducts hearings, other concerns are dissipating. After gathering some steam in March and April, the Biotech sector along with the broader market was buffeted by economic concerns after an anemic GDP growth of +0.8% in the first quarter of the year, and lower than expected April non-farm payrolls of 160,000. Since then, the economy appears to be rebuilding strength. Consumer spending was up 1% in April, well above expectations of 0.7% growth. More importantly, the rise was the largest increase in spending since 2009. Durable goods orders for April were up 3.4%, ahead of expectations of 0.7%, and oil prices have risen steadily providing some measure of stability to the energy sector. Towards the end of May, economic conditions were looking promising enough that talks of a potential rate hike in June were back on the table. But what has been remarkable in terms of market strength has been the apparent dismissive attitude towards the next increase. In other words, the market feels reassured that the economy can effectively absorb another rate increase. And what is good for the economy, is good for the stock market. As we had pointed in our last report, the biotech sector specifically was becoming more ripe for consolidation due to the lagging valuations, post the bottom in February, and declining earnings growth at the large cap companies which play the role of potential consolidators. 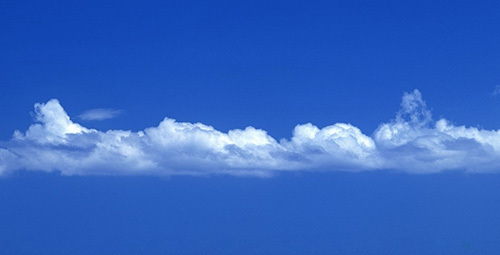 Well, during May the pace of consolidation picked-up rapidly. Recent companies to be acquired were Anacor (NASDAQ:ANAC) by Pfizer (NYSE:PFE), Celator Pharmaceuticals (NASDAQ:CPXX) by Jazz Pharmaceuticals (NASDAQ:JAZZ), Xenoport (NASDAQ:XNPT) by privately held Arbor Pharmaceuticals, Stemcentrx by AbbVie (NYSE:ABBV), while oncology firm Medivation (NASDAQ:MDVN) continues to remain in play with a number of potential suitors including Sanofi (NYSE:SNY), Pfizer, Gilead (NASDAQ:GILD), Celgene (NASDAQ:CELG), and Japanese company Astellas (OTCPK:ALPMY). After the unwinding of the potential merger between Pfizer and Allergan (NYSE:AGN), the corporate focus appears to have shifted from mega-mergers to midcap and smallcap mergers. Adding further to the positive vibes of the biotech sector was the announcement of a major investment by activist investor Carl Icahn in Allergan, which remains both acquisition-hungry and cash-rich after sale of its generic business to Teva Pharmaceuticals (NYSE:TEVA) for over $35 billion. Furthermore, industry albatross, Valeant Pharmaceuticals (NYSE:VRX), has not jolted the market with any further dire news and has reduced its drag on sector sentiment. Finally, the American Society of Oncologists, or ASCO, conference begins today, June 3, and runs through June 7, at McCormick Place in Chicago, Illinois. This is a premier conference for biotech firms to present their studies and collaborations, and we believe it will provide a boost to the sector sentiment. ... conditions today are better for biotech investing then they have been at any time this year and even late last year. The market is on a stronger footing and we may well see it successfully pierce past resistance levels and record new 52-week highs." We believe the fundamental and technical dynamics have finally converged and Biotechnology is well-positioned to have a strong month. The sector has been consolidating for the entire year and has been range-bound. We expect the Nasdaq Biotechnology Index and its derivative ETF, IBB, to finally breakthrough and record new 2016 highs. Similarly, the S&P Biotech Select Index should join the rally. This environment creates an opportunity for investors to own biotech stocks. Even though at this point many sector stocks should work near-term due to improving sentiment, it is prudent to create a basket of leading mid caps and small caps in order to manage the risk/reward. Some promising names to consider are Acadia Pharmaceuticals (NASDAQ:ACAD), Juno Therapeutics (NASDAQ:JUNO), Neurocrine Biosciences (NASDAQ:NBIX), Seattle Genetics (NASDAQ:SGEN), GW Pharmaceuticals (NASDAQ:GWPH), Medicines Company (NASDAQ:MDCO), Ligand Pharmaceuticals (NASDAQ:LGND), Jazz Pharmaceuticals, Depomed (NASDAQ:DEPO), Ironwood Pharmaceuticals (NASDAQ:IRWD), Alnylam Pharmaceuticals (NASDAQ:ALNY), Ariad Pharmaceuticals (NASDAQ:ARIA), and Nektar Therapeutics (NASDAQ:NKTR), to name a few. Even some larger names like Biogen (NASDAQ:BIIB), Amgen (NASDAQ:AMGN), and Grifols (NASDAQ:GRFS) offer promising return opportunities and must be considered. Furthermore, laggards like Esperion Therapeutics (NASDAQ:ESPR), with some upcoming milestones, can be considered for smaller positions. Sector exposure can also be quickly acquired through ETFs like IBB and XBI. At this point, even elevated risk in the biotech can be considered with the acquisition of leveraged ETFs which generate 2x to 3x returns of the underlying Nasdaq or S&P biotechnology indexes. There are quite a few such ETFs, and a couple of the popular, and highly leveraged and liquid ones include the Direxion Daily S&P Biotech Bull 3X Fund (NYSEARCA:LABU), and the ProShares Ultra Biotechnology 3x ETF (NASDAQ:BIB). Keep in mind that these leveraged ETFs retreat just as sharply in a bad market, as they rise in a strong one. 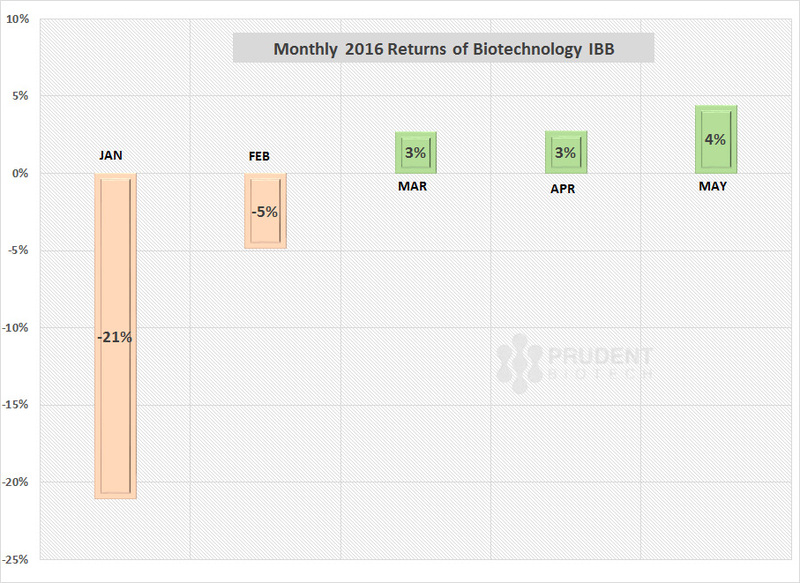 So far this year, our Prudent Biotech Portfolio, which is driven by quantitative models, is up +4% as of May end vs. a decline of -17% for IBB. As of the beginning of June, we have now shifted from Cash to a fully invested position in the portfolio. As always, do your own diligence for there are no guarantees in the stock market, particularly in biotechnology. This is our opinion as of now, and any unforeseen market conditions can make us reconsider and revise our viewpoint.